Christopherson Business Travel sponsors a group of employees to participate in a humanitarian expedition with Choice Humanitarian annually. Being a corporate partner with this international non-profit organization, we engage and volunteer whenever possible. This amazing organization assists villages across the globe in extreme poverty by providing self-sustaining techniques to improve their community from within. This year, the group, including myself, assisted in the Polochic region of Guatemala. Read my story below, and be sure to leave comments on our blog or Facebook page. 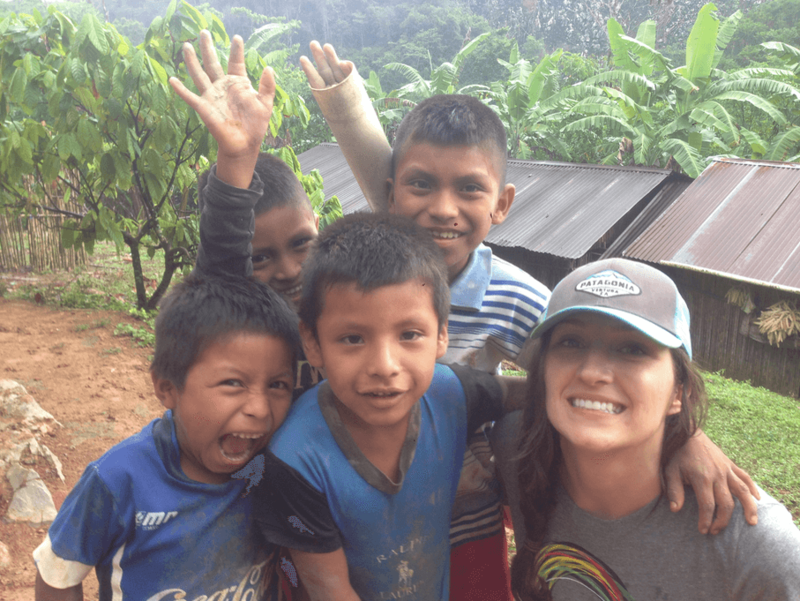 I knew that going on a CHOICE humanitarian trip would be a life-changing experience—traveling to a remote village in extreme poverty is bound to be eye-opening. But to be honest, I wasn’t ready for what I found. The objective for our trip was to install new stoves in the villagers’ homes. Their current stoves were simply open flames constantly burning. The smoke was a true hazard, harming their lungs and eyesight. But the stoves we installed have a metal stovetop which contained the flame. More importantly, they have an exhaust pipe to push the smoke outside the house. The conditions of the villagers’ homes were one of the first things I noticed and something that will stay with me forever. Most had one or two rooms total, but some families had additional buildings. Their ‘living room area’ was often their kitchen. Beds—typically just wooden boards with a blanket—were separate. It made the camping pad I brought with me look like luxury. Floors were made of dirt, hardened from years of wear, yet they still kept their homes clean and swept. Animals roamed everywhere, particularly chickens, running inside and outside of all buildings and structures. Though they had dogs and cats in the village, they were not kept as pets and were malnourished and starving, only bones and skin. One family had a pig. We were told they were one of the wealthiest families, as this was a luxury. The village children were a highlight. They were always happy, generous and intrigued. I never saw them argue over a toy or gang up on one another. One girl named Carmen was particularly bright, ambitious, and creative. She was one of the only girls not wearing the traditional skirts the other girls wore. Someone told me her family could not afford the traditional clothes for her, so she continued wearing the ‘modern’ clothes that most girls transition out of. It could be that Carmen and I share the same name, but I know she will stay with me forever. Though she’s bright and clever, she was born in a small village with very strict gender rules. She will likely never go to college or travel abroad or even experience life outside of this rural mountain. Though I obviously can’t foresee political or social changes for Guatemala, it’s unlikely things will change for her. Thinking back to how stressed out I was about little things before going on the expedition now makes me feel so selfish—things like how annoyed I was that Target didn’t have my favorite mosquito repellent to bring with me, or how mad I get when a show won’t load on Netflix. I haven’t been simply handed much in my life, but I have opportunities that many, many, many others don’t. I am so grateful for the CHOICE expedition experience. The main purpose of the trip was to help others in our world, but I can confidently say I will continue to do so for the rest of my life. See more photos from the expedition group on Facebook. Carmen is the Digital Marketing Specialist for Christopherson and has been in the marketing industry for more than 6 years. She enjoys learning the ins-and-outs of the business travel management industry and sharing it through blogs or social media. When she's not planning her next vacation, you can find her hiking in the mountains around Denver, CO. Connect with her on LinkedIn!